Verzellesi S.r.l. is a company specialized into rotational molding field for the production of tanks and special items in polyethylene for agriculture and industry. Since 1994, year of introduction of the first rotational molding plant, the company has consolidated itself more and more in the field, in particular thanks to the continued expansion and renewal of the product range. In addition to ours line of tanks in the sprayers field, Verzellesi S.r.l. realizes items of different kind for its customers, following them from the earliest stages of design and feasibility study. Thanks to ongoing commitment, know-how accumulated over time and customer care, Verzellesi S.r.l. is emerging more and more into sprayers field, coming to spread its products and its brand across Europe, Asia, Africa, Latin America and Oceania. 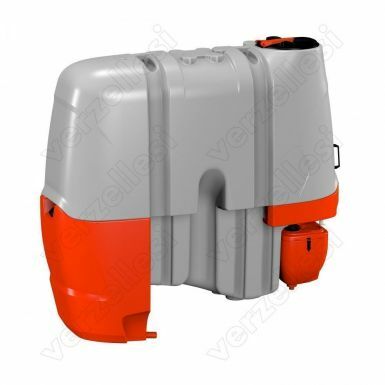 We are glad to introduce to you our new polyethylene tank for mounted weeding machines called serie LUCE, our latest news among Verzellesi products.